Charles I of Anjou (1225-85), brother of St Louis, was one of the most controversial figures of thirteenth-century Europe. A royal adventurer, who carved out a huge Mediterranean power block, as ruler of Provence, Jerusalem and the kingdom of Naples as well as Anjou, he changed for good the political configuration of the Mediterranean world - even though his ambitions were fatally undermined by the revolt of the Sicilian Vespers. 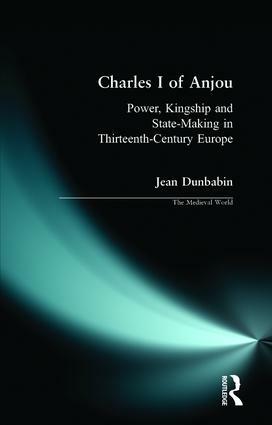 Jean Dunbabin's study - the first in English for 40 years - reassesses Charles's extraordinary career, his pivotal role in the crusades and in military reform, trading, diplomacy, learning and the arts, and finds a more remarkable figure than the ruthless thug of conventional historiography. PART FOUR: Court Life and Culture.